A Phaser is a really cool effect and you've heard it on thousands of songs over the years and is most notably found in a lot Chili Pepper recordings. It's great for funk, soul, and for adding a different dimension of sound to an existing tune or complimenting another guitarist. Get down and funky - check out the Tone City Summer Orange Phaser. 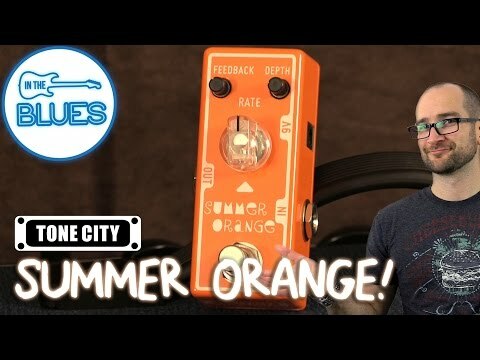 The Tone City Summer Orange Phaser pedal has three simple controls. The larger control in the center controls the speed of the effect. The top left control is the Feedback which controls the tonality of the pedal and the top right control is the depth which controls the overall amount of effect in your signal.